Xiaomi Mi A2 is a good quality smartphone with powerful features. Mi A2 popular as Mi 6X launched in India in April 2018 is a brand new smartphone by the popular brand Xiaomi. It is a good quality smartphone packed with powerful features and brilliant configuration. Available in Black and Gold colours. The excellent configuration is good enough to handle all the things you do with the device. The massive storage allows storing ample amount of songs, videos, etc. The cameras provide outstanding images as well as record quality videos. Though the average battery backup might be a problem for you, the quick-charging feature covers up the drawback. If you are looking for a premium device in this price range, you can go for this. 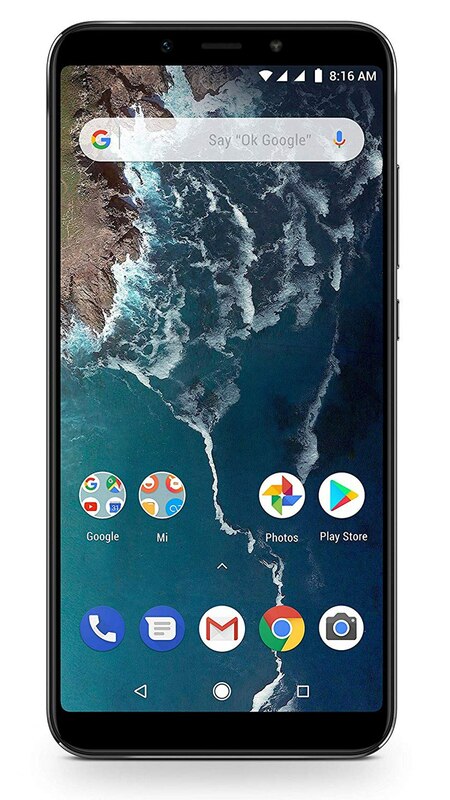 Xiaomi Mi A2 functions on Android v8.1 (Oreo) operating system and is power-driven by Octa core, Cortex A53 processor, and clocked at 2.2 GHz speed. For strong performance, the device is complemented with a 4GB RAM and Qualcomm Snapdragon 660 chipset. Xiaomi Mi A2 comes with a 5.99-inch IPS LCD display. It delivers a screen resolution of 1,080 x 2,160 pixels. The device carries an aspect ratio of 18:9 and has a fingerprint sensor just below the rear camera module. A 64GB non-expandable internal memory is available in the device so that you can store an unlimited number of images, songs etc.